Rule out testing in the work-up of a pruritic dog. Most cases of relapsing pyoderma or Malassezia dermatitis are secondary to an underlying condition/disease1,2,3. Cytology is useful in the diagnosis of bacterial pyoderma/otitis or bacterial overgrowth, Malassezia dermatitis/otitis, eosinophilic granuloma complex and pemphigus foliaceus. In addition to overgrowth of the bacteria, a hypersensitivity response can occur to Staphylococcus, as it does against allergens. In these cases, you often see a clinical response disproportionate to the number of organisms present on the animal’s skin. For further information about therapy for idiopathic recurrent pyoderma, due to hypersensitivity or otherwise, please contact Customer Services. In addition to overgrowth of the Malassezia, a hypersensitivity response can occur to the organism, as it does against allergens. In these cases, you often see a clinical response disproportionate to the number of organisms present on the animal’s skin. 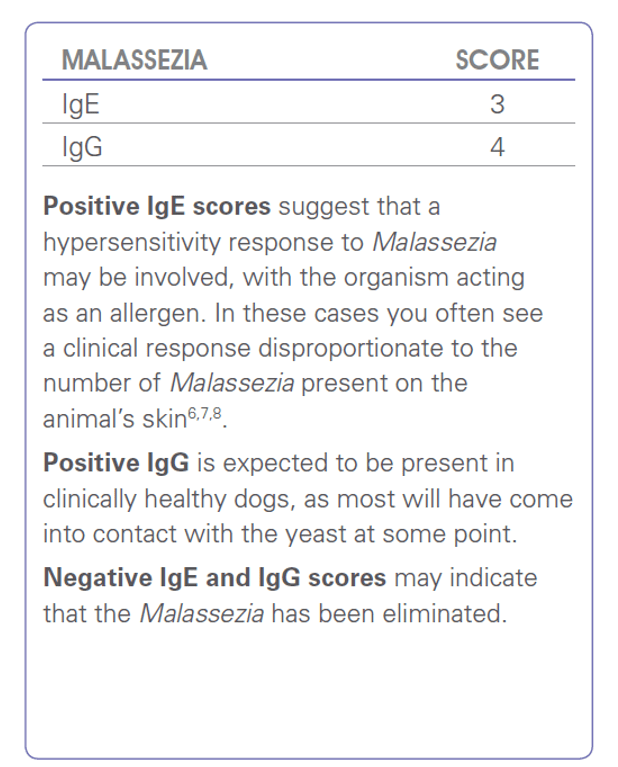 When positive IgE scores are present, ASIT can be considered to desensitise the dog to Malassezia and reduce the associated allergic response8. Long-term topical treatment is also indicated. Regular monitoring of Malassezia levels using cytology is beneficial in cases with recurrent infections. Recommended for initially detecting exposure to Sarcoptes scabiei. Recommended follow up to positive serology results for monitoring response to treatment. 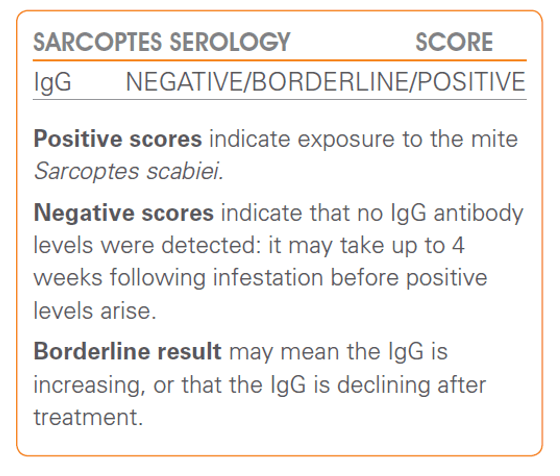 Useful to detect Demodex, Cheyletiella, Trombiculae (harvest mites), lice, flea dirt and Sarcoptes (Sarcoptes mites are difficult to detect on skin scrapes so we recommend Sarcoptes IgG serology in addition). Interpreted and reported by a certified dermatologist with images from actual slides submitted included in the report where possible. Recommended for initial detection of dermatophytes. 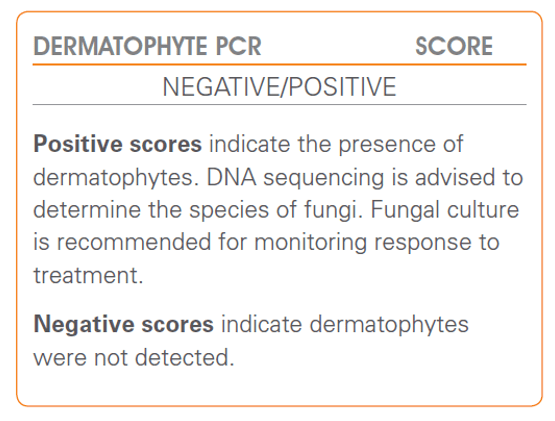 DNA sequencing from submitted sample to provide speciation of fungi detected. 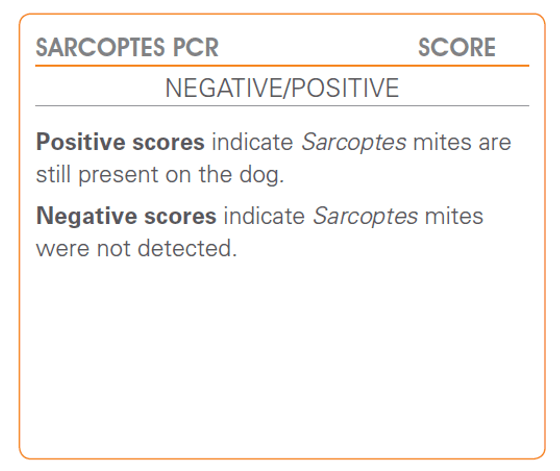 Recommended follow up to positive PCR results for monitoring response to treatment. If the pruritus persists after treatment of obvious infestations/infections, or no obvious cause was identified on initial investigation, the distribution of pruritus and/or lesions can be helpful for further investigations. Presence of recurrent dorsolumbar dermatitis, usually seasonal, is highly suggestive and a unique feature of flea allergy dermatitis (FAD)9. Visualisation of fleas or flea faeces can be difficult in very pruritic, overgrooming animals. Pruritus and lesions usually resolve with diligent flea control. Intradermal or serology testing is available, but false negative results are possible and do not rule out FAD9. 8.Åberg, L., Varjonen, K. & Åhman, S. (2017). 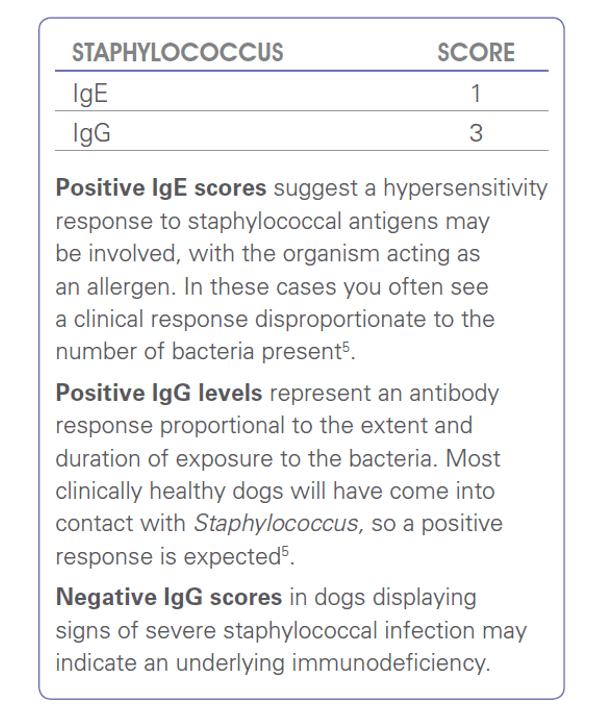 Results of allergen-specific immunotherapy in atopic dogs with Malassezia hypersensitivity: a retrospective study of 16 cases. Veterinary Dermatology [Epub ahead of print] doi: 10.1111/vde.12475.